The 2.625% is still very low, to be sure, but it is a positive trend. It could be a slow-moving one since the Fed wants to keep rates at “exceptionally low” rates until unemployment drops below 6.5% into 2014. 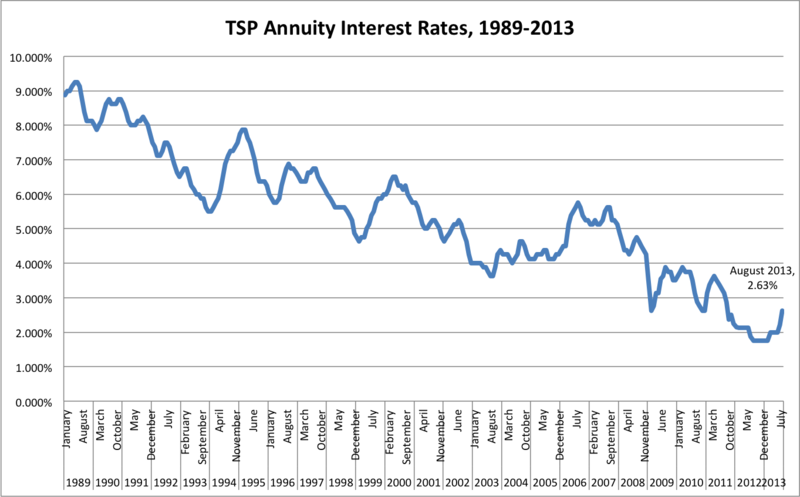 The annuity rate is still lower than many mainstream dividend-paying investment funds, which could serve as an alternative to at least a portion of an annuity investment.